Jake Peterson's Blog » It’s the First Day of the Races! It’s the First Day of the Races! 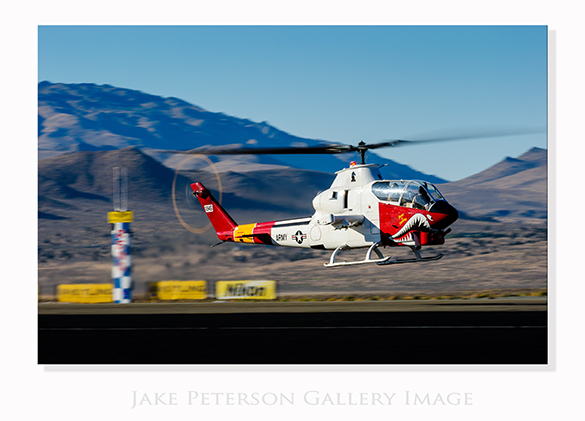 Today is the beginning of the Reno Air Races! All week it’s going to be nothing but planes, planes and more planes. It’s going to be great. Today through Wed is qualifying rounds with Thursday being the first race day. Already the emails are coming in of planes arriving down at the Heritage for judging of this years Neil Armstrong National Aviation Heritage Trophy. This Super Cobra is from last years judging. I wish I could be down there right now watching the planes come in but having just got back from Photoshop World I’m still dealing with stuff in the office, so I won’t get there until tomorrow.